Rome, AD 19–20. Tiberius, with Sejanus' help, is ruling with an iron fist. Only Germanicus is preventing total tyranny, but when he dies in Syria under mysterious circumstances, it is widely rumored that Tiberius is behind it. Germanicus' wife Agrippina accuses Piso, the governor of Syria, and his wife Plancina of murder and treason. At Claudius' suggestion, they are tried in the Senate, so as to avoid any backroom subversion of the courts by Tiberius' agents. AAAAAAAAAH!!!!! Shift to Antioch where an aggravating Agrippina, with Lil' Boots in tow, enters the crowded death chamber of her husband. She imperiously orders his body to be laid out in the local market place for all to see the marks of poison and witchery. Rome should be notified that Germanicus is dead. She breaks down bemoaning the fact that he was all that stood between Rome and its imperial destiny. A sinister Caligula comforts his mother. Sometime later, the funeral cortege lands at Brundisium where they are met by Claudius, Castor, the children of Germanicus and a throng of well-wishers. Agrippina's opening speech, "Thus my children does your father come home to you: ashes in an urn," rallies the crowd. After entrusting the ashes to Castor with a charge to avenge Germanicus' death and commiserating with Claudius, she notices the absence of a few key family members. When Herod Agrippa tells her that Livia and Tiberius are too "grief stricken" to show themselves, she flies into a demagogic rage. With the crowd suitably stoked by her fiery rhetoric, she orders the procession on to Rome. 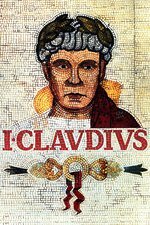 Unfortunately this episode does demonstrate the limitations of the BBC’s budget for adapting I, Claudius. The novel has a detailed description of Germanicus wars in Germany and his character. But the budget of I, Claudius could not afford scenes depicting Germanicus dealing with mutinous legions or exploring Egypt and Greece with his son Caligula. The resulting cuts of Germanicus story make the character seem more of an offscreen presence. It is worth noting also that Germanicus’ heroic presentation by both the historians and Robert Graves is somewhat misleading. Germanicus was an excellent general, but his campaigns were only moderately successful. His lofty reputation was mainly due to the hatred of Tiberius. As Tiberius became more and more loathed Germanicus rose in the eyes of the Romans, until he became a martyr in the eyes of Rome for the dignified era. As for the actual plot of the episode, it is a thrilling court room drama from the perspective of Germanicus’ murderers Gnaes Calpurnius Piso and his wife Plansina. Having a courtroom drama is seemingly out of place in a drama series focusing on the machinations of a wicked family. First time viewers may even downright object to the relatively slow pace of the episode. But the narrative told is fascinating as audiences are observers to the wicked trying to survive. "How do you follow a powerful, dramatic episode containing an event as cataclysmic as the death of Augustus? Well, if you're I, Claudius, you use the bulk of the next episode for a courtroom drama that subtly displays the shifting power structure in the wake of Augustus' death." How do you follow a powerful, dramatic episode containing an event as cataclysmic as the death of Augustus? There's the rub. You know how even the greatest albums have at least one "relative dud" of a track that you sometimes or always skip? And how a lot of the time that track comes right after one of the strongest tracks on the album? I feel like this episode is the series' equivalent. You wouldn't SKIP it, of course, but it feels really different, in part because Piso and Plancina, these characters we've never even heard of let alone seen, get so much screen time. OTOH, any episode with lots of Herod Agrippa is never a real dud. And the Piso stuff is indeed dramatic. Livia to Tiberius: "There is nothing in this world that occurs to you that has not occured to me first." I don't think this is really a dud; Tiberius said "the earth will shake" with the death of Augustus, and this episode is where we see the tectonic shift. The first three episodes are more or less Livia picking off noble and heroic Romans at her leisure. Episode 4 sees Claudius intriguing against her with Germanicus and Augustus starting to counter-plot. This episode? This is where things get nasty. Everyone is plotting against someone. Tiberius and Livia are at odds. Tiberius and Livia are at odds with Piso and Plancina. Piso is at odds with Plancina. Claudius, Herod, Castor, and Agrippina are at odds with Piso, Plancina, Tiberius, and Livia. Sejanus is like a chameleon, being the flattering toady with Livia and Tiberius, smiling like a knife as he makes it clear to Piso and Plancina how fucked they are, and playing the sincere adviser when alone with Tiberius. This is not the Rome we knew under Augustus. As Piso correctly, if somewhat ironically, observes "There's no honour anymore". It's also interesting that you're never really let in on what went down. It seems like from the episode that Tiberius mistrusted Germanicus and sent Piso along to test Germanicus' loyalties. Piso and Plancina, bringing themselves into conflict with Germanicus, knocked him off with the help of Caligula. Livia probably directly or directly condoned the hit in her letter. Tiberius isn't too sad about Germanicus dying, but the last person we've seen Tiberius express greif over was Drusus. Tiberius is definitely pissed that Piso would put him in this situation though. Again, we've gone from Livia's bespoke and elegant assassinations, to confused muddles where people wind up dead. I also think that this could be part of the structure of the series. What we see from when Claudius was either not born, a child, or still a young man was very black and white. We have a larger than life Augustus, all these great and good figures, and Livia like a super-villan picking them off. Now Claudius is an adult, he's more involved in what's going on, and it's all plots and treachery. Old Claudius is shown in shadowy rooms, utterly alone. It works as a metaphor for Rome's decline from the time of Augustus, but it also works if you consider that what's changed about the Claudius and what he's in a position to know in each stage. Other things of note: Livia talking shop with Martina. Martina's look of utter horror when it clicks that maybe eating this much when talking poison was a bad idea. Livia just rolling her eyes at the idea. Tiberius asking why they loved Germanicus and why they hate him so much. He's emperor of Rome, most powerful human on earth. Still just wants someone to tell him he's doing a good job. Little boots! More better than average child acting from creepy young Caligula. I mean, just about everything he does here is some kind of foreshadowing, some of it a little on the nose. Again, this is Claudius telling the story in hindsight though. You still kind of sympathise with Tiberius here, although it all seems so inexorable. Martina's look of utter horror when it clicks that maybe eating this much when talking poison was a bad idea. Livia just rolling her eyes at the idea. You imagine that when directing her (as Nursey) for Blackadder II, they just went with "Martina, just 10% thicker".